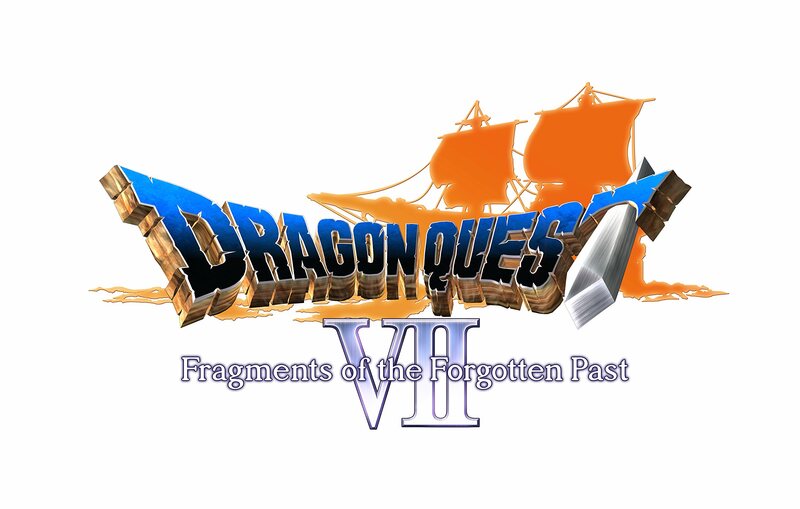 Dragon Quest VII: Fragments of the Forgotten Past is the JRPG Club game for the last quarter of 2018. We'll have until March 31st, 2019 to finish for credit. Your opinions are much more nuanced and insightful than my own. I feel like the reasons I've liked or disliked the various games have been pretty situational. DQ5 had so much hype for me going in that I think I couldn't help be disappointed. There's a big decision in the middle of the game that is much talked about by fans and, in general, 5 seem to be the fan favourite (outside of maybe 8). So I was pretty pumped to give it a shot when it came out on DS. In the end, my mind wasn't especially blown and I lost interest a few hours past the "big" decision. It is technically a port of a SNES game and the depth of the gameplay reflects that I guess. DQ8 was just dull dull dull. I was sold on the graphics just from screenshots and it didn't disappoint on that front. But there wasn't really anything much going on with the story, characters, or gameplay. Plus I was playing it close to or around the same time as FFXII. And, any comparison between those games is going to end badly. DQ9 is an interesting one. I've actually only played 10-15 hours of it and solely for my Japanese study. On that note, it's one of the few games that includes furigana (readings) for kanji which is a godsend when trying to read them on a low res screen. Plus, it's an amazing looking game, perhaps the best looking DS game ever made outside of something highly stylised with prerendered backgrounds like Hotel Dusk. And, viewable equipment! I get really sick of my character wearing the same shabby shirt and pants when they're supposed to be equipped with Armour of Godliness. I like making the decision to keep wearing leather armour instead of chain just because it looks better. What's even the point of having equipable boxer shorts if you can't view them. And you make your own party from scratch! Viewable encounters too. Sadly I moved on from it when I started a different phase of my studies. DQ7 I never got around to prior to game club so I'm grateful to the voters for that. I knew it was the ugly duckling so, as someone who isn't a DQ fan, I thought there was potential there. The PS1 version has a lot of problems but the 3DS is almost everything you could want from a port of that game. The characters are a bit more interesting than 5/8, the systems aren't deep but there are just more of them than DQ8. The combat isn't very interesting strategically, but the AI is pretty great (not so much on PS1) and the battles are over quickly, like one of my favourite JRPGs Suikoden 2. And all the ridiculous skills just makes them entertaining to watch. No viewable armour but some of the class costumes are cool (some are not). Not the greatest story overall, but a few of the episodes are very memorable. That would probably be a good discussion at the end of this game club, your favourite episode/shard/island. It is a bit too long but my opinion might change depending how the final act plays out. It's never going to be one of my favourite JRPGs but I'm enjoying it. Another milestone, I'm past where I was on PS1. I'm not juggling 3-4 other games like you folks :). And, viewable equipment! I get really sick of my character wearing the same shabby shirt and pants when they're supposed to be equipped with Armour of Godliness. I like making the decision to keep wearing leather armour instead of chain just because it looks better. What's even the point of having equipable boxer shorts if you can't view them. And you make your own party from scratch! These are a big part of what I like about 9. I got to thinking about the whole 7 vs 8 vs 9 topic last night before bed, and I think that I would have been much more impressed with 8 if I had played it in 2004 on the PS2 instead of in 2018 on the 3DS. I imagine that look and feel was really remarkable 14 years ago, and it would have felt like a significant upgrade over the PSX release of 7. But playing the game on handheld in 2018 (where, thankfully, they added visible encounters) it stands out a lot less. It doesn't look quite as good as Tales of the Abyss (which it predates on PS2) or some of the other anime-styled 3DS games. Obviously, looks aren't everything, and I stand by all my mechanical complaints about it. But the wow factor of the visuals in 8 would have been significantly higher for me back when it was new. I was thinking about this a bit last night, too. I loved 8, but then, I played it shortly after I bought a PS2, and never played 7 on the PS. In fact, the last one I had played before 8 was a bootleg, emulated copy of 6 (SNES) with a fan translation; before that, it was the old NES Dragon Warrior games and the first Monsters game on Game Boy. I'm sure the newness of 8, and the great-for-the-time visuals, really drew me in; the game appealed to my nostalgia in a powerful way. I also remember noticing how over-sexualized Jessica was, but at the time I didn't think much about how problematic it was to portray her this way. I'm sure that it would strike me in a very different way, today. I actually loved 9, it's pretty high up on my list of favorites in the series. I loved making my characters from scratch, having their gear reflected in their models, and all of that, just as you and Mr GT Chris mentioned. And overall, I found the world charming, and the sunny optimism of many DQ characters and locales was appropriate for the "guardian angel" storyline. I was going to jot down my thoughts about Maribel and the things that I don't like as much about DQ 7, but I think I'll save that for another post. Mr GT Chris, I'm also in the same boat as you about DQ 5: I get that it's a favorite for a lot of people, but it's in the lower half of my list. I think you both might enjoy DQ 6. It also does the whole "two worlds" thing but, in my opinion, with more focus and more interesting characters than 7. As I have the cart I'll at least give it a go this evening before I consider trading. While I mostly bought the game back in the day (2005 I believe) for the FF XII demo it came with, I think visuals were a big draw for me when I played the game (and liked it quite a bit). I do own the 3DS version, but I haven't played it (and I'm not sure if I will ever). I did end up liking the game. The issues with Jessica didn't bother me back then, but I think I would have a different view of them now (hopefully). As for VII, I think I like it a bit more every time I play it. Sure, its story is not earth-shattering, its characters are not the best (I like Ruff, and I'm still mostly indifferent toward Maribel), but it's a nice, breezy game to play in short chunks on a portable system. I'm not quite sure it would have been a similar experience had I played it back on the PS1. Echoing ClockworkHouse, I like that I can sit down for a few hours and go through a complete vignette, starting with an initial drama and getting to put a bow on it at the end. So far, I think I like the vocations system, and the fact that they are relatively quick to master (I've mastered so far one vocation per scenario so far, with minimal griding). I am not a huge fan of the DQ series (I think I've played I on NES, IV and IX on DS, and VIII on PS2), and while I would not rank any of them near the top of my favorite JRPGs, I still find them enjoyable enough for me to play them to the end. (I still have V and VI in the backlog, and waiting for my Japanese to get good enough before getting into the 3DS version of XI). OK, end credits rolled, this one's in the can. ~59 hours, party was levels 36-40. Classes were 1xHero, 2xDruids, 1xPaladin. Ruff actually had already mastered Hero but I decided Champion would be better for him so was trying to level up Paladin but ended up running out of time. Strategies that worked on the previous encounter with the big bad worked on the final boss too, just a lot more forms. Fairly easy, only one party wipe on the 3DS play through. I gather there's end game content but considering how much time I've already devoted to this game, I think I'll pass. Glad that the game got the remake it deserved to truly put a worthy version in the hands of more people. Happy to engage in spoiler discussion as people progress further. Someday I'll spend some more time with DQ9 so I can decide which one I like better. Nice! Good job. Your 59 hours makes me wonder if I'm closer to the end than I thought. Could be! My completion time should be a little bit lower than most due to not getting stuck and also skipping a lot of dialog and non mandatory conversations though. I was wondering the same thing. I’m sitting at about 41 hours and I feel like I must be at least in the back half of the game: I am on the final island accessible through the colored fragments, though I know there are also “Mysterious” (grey) fragments that I’ve started collecting. I finished Volgograd last night, and the dialect seemed especially odd there. Apparently the localization team thought that the way you make someone sound Russian is to use bad grammar and syntax, and also to use big words that sound close to the word the character meant to use. For example, multiple characters use “expired” to mean deceased or passed away. Another character used “superlative” instead of something like awesome or terrific. I felt like Inigo Montoya the whole time I was traveling in Volgograd. 15-20 hours more would be my guess. You seem to be making good time though! Hmm. I'm about in the same place, so maybe I can roll credits before the end of the year. I got to El Ciclo on Thursday (my game clock is around 27 hours I believe, and my party is at level 22). I was not able to complete the dungeon in the painting yesterday due to an office Christmas party, but should be able to do it today. Were you new club runners extending the deadline to finish things for them to count? Three months is a pretty aggressive deadline to finish a game this size. We're keeping the six months deadline, so this runs until the end of March. I was just hoping to get it done before January so that I could jump in with the next game right from the get go, and not play both games concurrently. Ahh. It was already extended from what I though it was, then. I thought it had to be done by January for credit thanks! I played some more last night. I keep playing right before bed, and I don't know if it's the music or what, but I doze off pretty quickly. So my save file says I've got 3+ hours in the game, but I'm still level 1. Probably an hour of that has actually been playing, and the other two has been probably me asleep at the wheel. I keep running around the first town doing the next thing. It's like I'm trapped in endless tutorial hell. Or maybe I got some special version of the game with all the violence taken out. It's not that I'm not enjoying things, but I'm very ready to get going *somewhere* in the game. Nope! At the end of December, the window closes on Kingdom Hearts. Well, I mean, you can close that particular window whenever. But how do you really feel? Just be glad they didn't keep the tutorial from the PS1 version :p.
Things have picked up nicely now. I've got momentum. I'm just behind you; I started Volgograd today. I'm enjoying this game, but I'm getting a little tired of some of its tropes. "I'm thinking, so you go talk to literally everyone in the village" has got to be my least favorite. I think this, or something similar, was part of the reason why I got tired of the game when I first tried to play it. DQ 7 seems to over-rely on making the player hit just the right sequence of plot levers before advancing. All of the running around in Hubble to and from the Grand Conjuratorium was one good example. Volgograd also featured a ton of this. Buccanham, up next, is just as bad—and is done in a totally ridiculous way. (1) Weird stuff happening at night, involving monsters. You’ll need to stay at the inn. (3) Go get permission. Tell the innkeeper. Did you go looking for her back at church? She’s not there any more. Go to the inn. (4) Sure enough, monsters appear at night. Watch the scene. Did you want to go back to bed? Can’t, sorry. The innkeeper is nowhere to be found, and it would be rude simply to climb back into bed without talking to her. (5) Driven by insomnia, wander into the castle and find a minstrel, who will deliver sweet, sweet backstory. (6) Though it remains night, go back to the inn. Apparently the innkeeper was away from her desk for exactly the length of one flashback. (7) The next day, the king will have his scholar tell you the plan. The plan involves going to caves below a nearby dwarven city to harvest some bioluminescent fungus, which you are going to rub all over a monster’s feet during the next nighttime attack. Seriously. Consider that you now understand how Scott Evil felt when forced to listen to one of dad’s overly complex schemes. (8) Head to the cave. The dwarves live about halfway down this dungeon. They don’t like outsiders very much. (9) Continue to the bottom. Beat the monster munching on the fungus, and collect some. Now the dwarves like you! But do they give-up-their-mysterious-fragment like you? Not so fast, my friend. (10) Deliver the moss, and witness a cut scene in which finally—blessedly!—you are not forced to talk to any additional townspeople before the plan is carried out. Learn that the plan worked perfectly, and the monster’s footprints can be traced to the Beacon, a giant lighthouse dungeon and the only other location on this island. (11) Follow the glowing footprints through the beacon, which is totally linear. Thank goodness you got that moss! (12) Beat the boss at the top of the beacon, and report back. (13) Congratulations! You’ve saved Buccanham. But the light’s still not on in the Beacon. Maybe you need something else. The king will tell you what: fire from Emberdale. Unfortunately, gods and game designers have decreed that you can’t travel between islands in the past. (14) After a jaunt to the present and back, you will have the honor of climbing the Beacon again to see that it is lit. (15) Congratulations! You’ve walked through the second dungeon twice, and have have saved Buccanham for real! Now those dwarves definitely like you enough to give up their treasure; what scenario would be complete without a victory lap of the first dungeon? And, when you already have to re-explore most locations in the present, these extra, unnecessary little plot delays really add up. I appreciate the spoiler! By happenstance, I stopped by this thread on my way to Game FAQs to look up who in the hell I needed to talk to. Despite them setting off the fragment detector, the Mysterious Fragments don't seem to get used until the post-game. Don't stress them!